Bigger is always better and the suite life is yours for the taking. You can live like a New Yorker in one of our NYC Loft suites or experience a bygone time in our classic New York suites. We are just steps away from the world-famous New York City Gay Pride Parade as it sashays its way down 5th Avenue. Additionally, we are close to NYC’s prominent gay friendly neighborhoods of Chelsea, Hell’s Kitchen, and The Village: all full of fabulous shopping and Instagram-worthy (and fantastic) bars and restaurants. We pride ourselves on anticipating our guests every need and going above-and-beyond to exceed their every expectation. 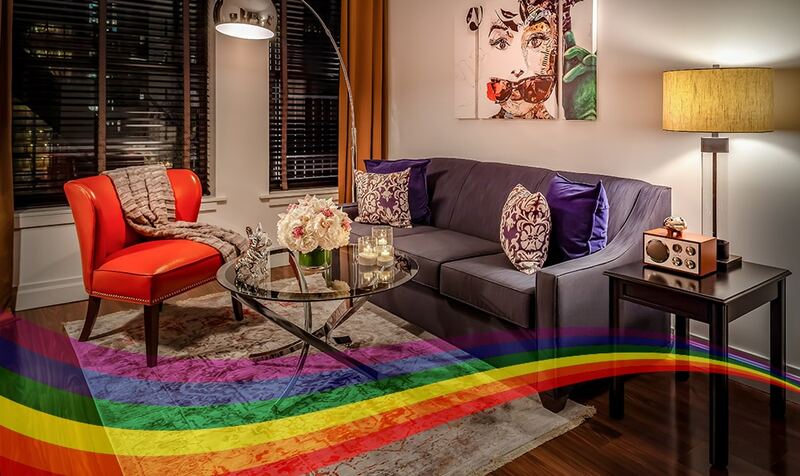 Whether you are coming in with friends or your spouse, we look forward to welcoming and celebrating you during World Pride at the Avalon Hotel New York.